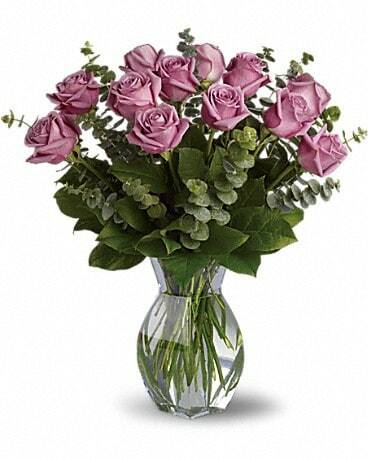 Lovely lavender roses are enchanting and exotic. They can even signify love at first sight, and when this pretty bouquet is delivered it will surely be love. Gorgeous as the roses are by themselves, when mixed with eucalyptus, the effect is intoxicating.